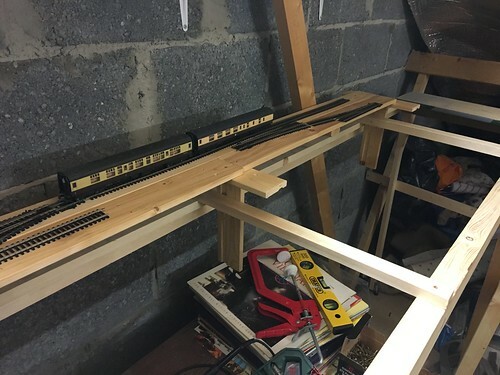 i connected up a second one that needs to switch at the same time as the first for a cross over, this time around my issue was shorting out when locos ran over the points. I think i have narrowed it down to the frog polarity not changing on one of the sets of points - the reason for this guess is the issue seems to be intermittent. Essentially what i think is happening is the point motors are not getting enough of a kick to fully switch (even though the point blades move over OK) which means the frogs not switching? i tested this theory by switching the points twice which seems to elevate the shorting. I use the Gaugemaster CDU, and I too have a double set of points to throw (Peco code-100 Electrofrogs), and it has no issues. i have taken the left one out and popped the right one in - the points are now switching perfectly and the frogs seem to be switching reliably as well. Would welcome some advice on this, is the issue the wire? if so what size / spec should i use? i am dreading getting around to installing a few point motors that are in difficult to reach places! 24/0.2 should be man enough, unless the run is more than many meters! Is the point free? Does the point motor work well when not connected to point? What's getting me is it works sometimes but not reliably- I can't seem to figure out what's causing it to fail. The same can't be said for the neighbors fence which is sat in our garden! Having being tasked with making pancakes tonight i wont get time to take summing up images for the forum competition but to be honest its not moved on visually really from this post so take that as my ending point for the competition. From my starting point i am happy with the progress made, even if it was all at the start! It was a big decision to rip it all up and start again but overall i am pleased with the new layout of track and am looking forward to getting to sit and watch things go by. 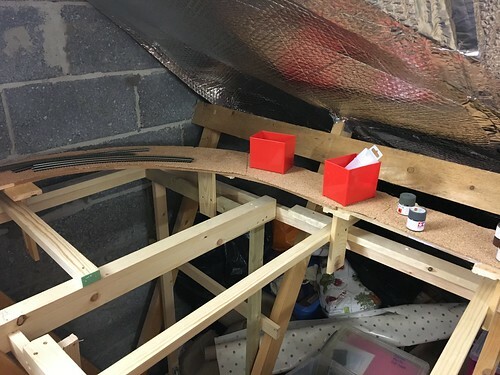 The big change is i am now onto layout V6 the change has been triggered by a move of the layout from the shed into the loft, i have pulled it all up and am starting from scratch. 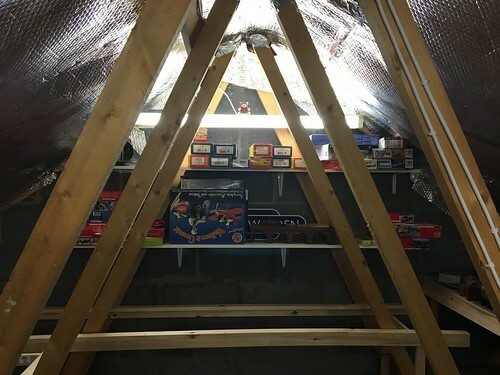 the big plus is the increased running length the loft offers, the downside is the loft gets hotter then the shed but cant have everything. 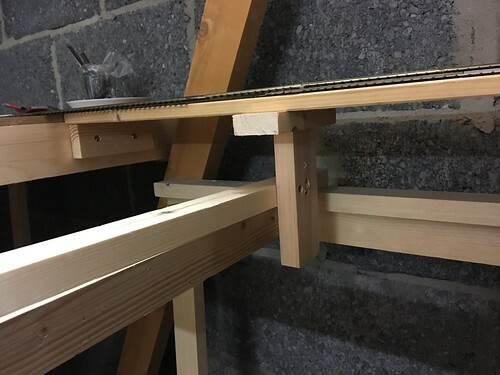 Not much visually interesting to report so far, i have put up the frame of the layout - i am using open frame design with L girders which i have found to be fairly easy to get level etc - this time i am going to do open frame properly so supports/baseboard only for the track. i have only got one section in place but its progress! My goal is to get at least one of the loops connected up so i can start to run something. Hi, great stuff going on here, and I echo what you say about flat surfaces ha. I notice that you are using the Hornby viaduct / arches. I really like these and think that they look so much better than card. I have used them myself. I have also noticed like me you have got a cross over on it. 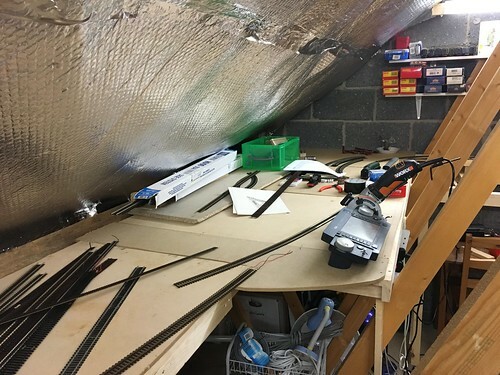 I have had no end of issues trying to mount point motors under the arches, have you got a plan for this ? 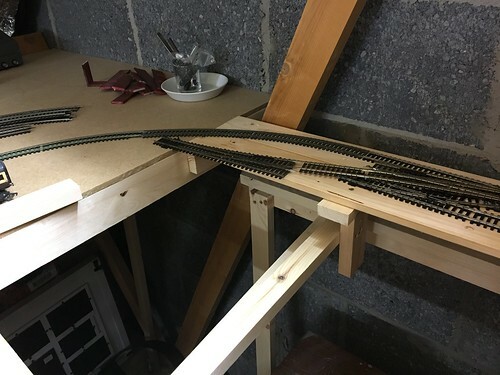 The crossover you can see is actually some old hornby points that I am using to check spacing ready for when I start laying track - I know that set track spacing is a tad on the oversize side but I am happy enough with it. The current track plan won’t have crossovers there, I didn’t think I would be able to see how they where set easily so didn’t want to put them there. 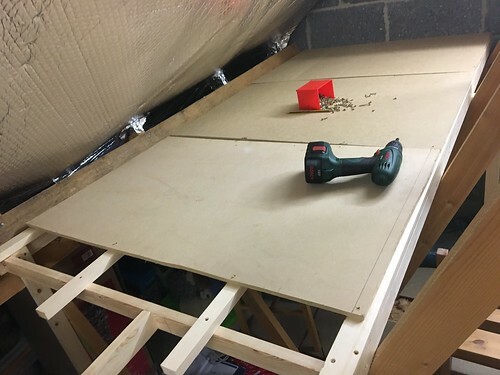 The weekend was spent putting the rest of the baseboard tops in place, my local Homebase selection of wood/MDF etc is naff - they used to be OK but ~ a year ago its all gone south, the problem was its the only place near by thats open on bank holiday! 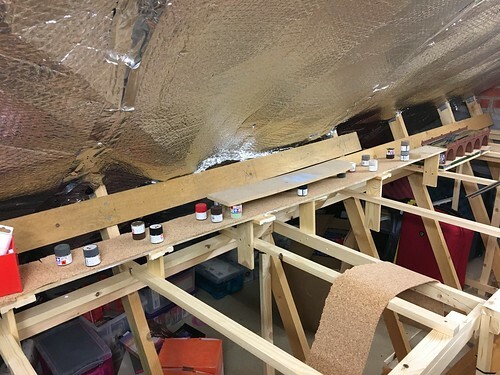 I ended up with 12mm MDF sheets rather then the 9mm i had used for the rest of it, each 1/4 sheet was £15 however so an expensive way of doing it! 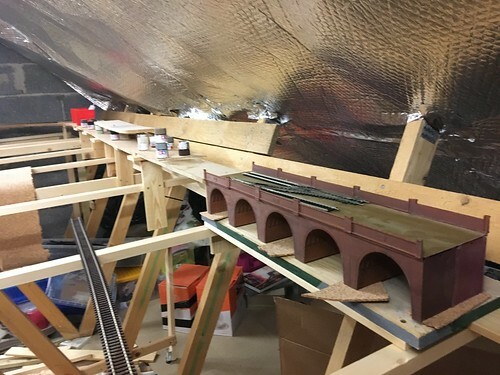 I have also ran out of cork after covering maybe 3/4 of the scenic areas, i have ordered another set and hopefully will have enough to finish the scenic areas as well as the fiddle yard, i had planned on reusing the peco foam i had on the last layout but would rather it in cork i think. 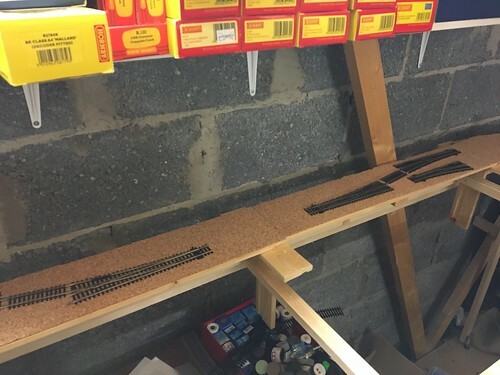 I have also started to put the DCC bus wire in place under the baseboards, something i should have done before finishing the tops as it would have saved crawling under them but you live and learn! Very good. 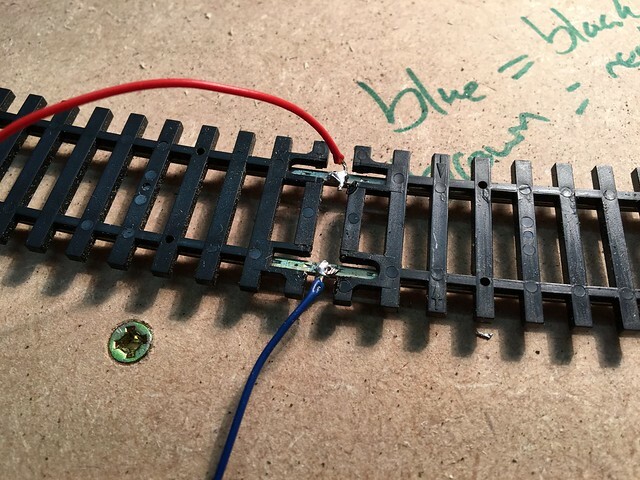 You should find soldering to the track like this should be more reliable then soldering to the railjoiners. 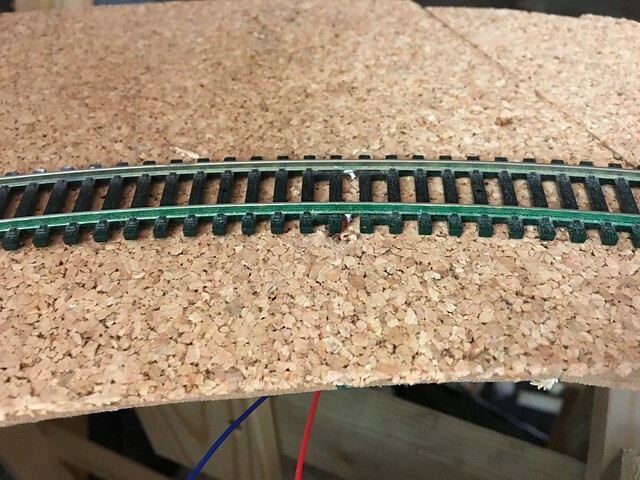 I tend to solder to the sides of the rails as though it is more visible, the larger area being soldered makes it easier. Your way is more hidden though may be a pain to avoid melted sleepers. Nice work though. Its great to see. your right it is a pain trying not to melt the sleepers, i started with my soldering iron pointed tip but it didn't seem to have enough heat to melt the solder. When i switched back to my normal one it works but its a lot larger so catches the plastic (easy to melt ) sleepers if your not careful. Luckily the few times it has so far have been only slight and on the bottom so you cant see them. 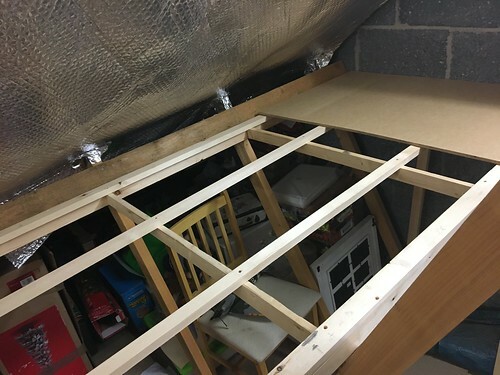 Its a good point about having more space on the side, if the bottoms cause me issues i might swap over to doing the sides - especially for the back rail which you wouldn't see anyway. Just dont do the insides where the wheel flanges run!